Have you ever come across an app on Android Market that you really, really wanted to try but couldn’t since the app in question was incompatible with your Android device? With the fragmentation issues facing the platform, I’m pretty sure you have! Although there are some established ways to getting these apps to work on your device (like using ChainFire 3D for incompatible games), we came across a newer and more effective method today. Check it out after the break! The “hack” comes from stranded over on my personal favorite social news website Reddit in the form of a comment they left on a self post asking the same question as you have in your mind right now: is it possible to download incompatible apps from Market to my Android device? The question has been asked before, but it is being asked again because of the awesome 10 apps daily for 10 cents for 10 days deal that is currently on-going over on Android Market. Users with incompatible devices may want to download the on-sale apps for use with a newer, compatible device down the road. The procedure is pretty simple: you have to edit your device’s build.prop file so that it appears to Google’s servers that you’re using a compatible device. For example, if you’ve got a shiny new HTC Rezound which isn’t compatible with, say, app XYZ, then you can change your device’s properties to a well-supported device like the Nexus S. Once the hack is applied successfully, you’ll be able to download the app as usual. 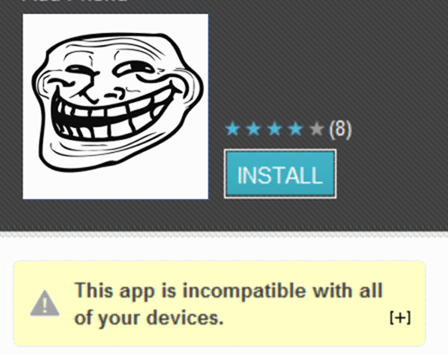 Of course, the app may or may not actually work on your device, but that’s not our concern at the moment. 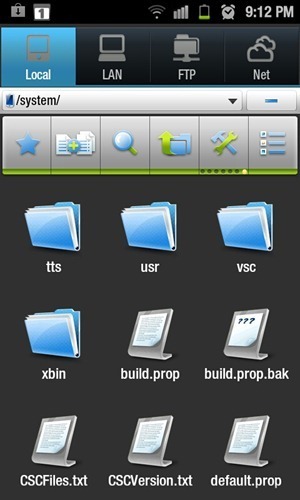 You will need to have an Android device with privileged (root) access to be able to change build.prop’s settings since it is a system-file (which you normally don’t have access to). 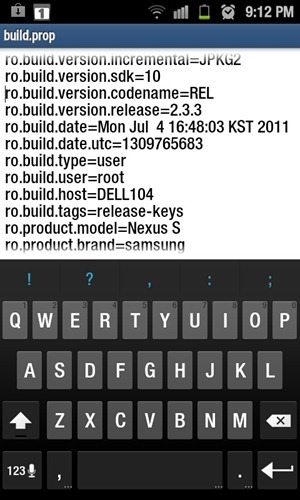 Please be sure to take a nandroid backup using ClockworkMod Recovery (or ROM Manager) before going ahead. As with all sorts of hacks, business is risky and you do not want to be caught with a device stuck in bootloop. This hack doesn’t work for everyone, so it is rather hit-or-miss. We have seen reports of it working for people, so it may or may not work for you. Step 2: Download and install ES File Explorer [Market Link]. Step 3: Launch ES File Explorer. Enable both Root Explorer and Mount File System underSettings > Root Settings. Step 4: Navigate to /system. Here you will find the build.prop file. Take a backup of it by copy-pasting it to your SD card. Note: You can actually change this for any other device as well, by the way. We chose the Nexus S because it is the most supported phone. Step 6: After editing, hit the menu button and tap Save.